With YSR Congress chief Jaganmohan Reddy's judicial custody in the disproportionate assets case being extended till June 25, things don't seem to be going quite his way legally. But Tuesday's crucial by-polls to the Nellore Lok Sabha seat and 18 assembly constituencies will decide his political future. 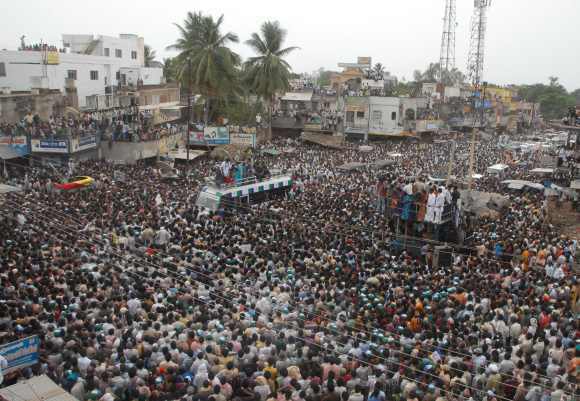 Jagan's party is awaiting the verdict of Andhra's 4.6 million voters. They are hopeful that he will emerge victorious. His arrest is nothing but a witch-hunt to counter the YSR Congress chief's popularity, said his close aide and party spokesperson Ambati Rambabu in an interview with rediff.com's Vicky Nanjappa. The by-elections are very important for your party. What are your chances? The campaigning went on very well despite so many hurdles and setbacks. The crowds, which came in to support our leaders and our party, were overwhelming and they expressed solidarity with the members of the YSR family. Going by the trend and the manner in which the people have come out to support us, I am confident that we will win all the seats in the by-election and that will be a turning point in Andhra Pradesh politics. Without doubt it was a major setback. 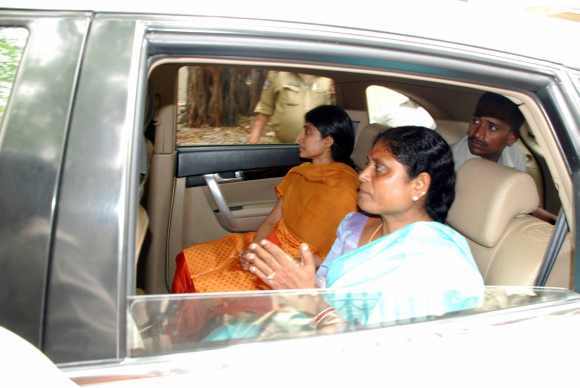 However, Vijayamma (Jagan's mother) stepped in and taken over the mantle of the party. We have managed this transition well. Moreover, the people realise that she has lost a lot and they have supported her with all their heart. With so many cases against Jagan it appears that he may not be freed for a while. Is the YSR Congress looking at a permanent replacement? As I said that Vijayamma has stepped in for her son. We had always expected a major witch-hunt against Jagan. However, there will be no replacement for Jagan. We will all wait for him to return. 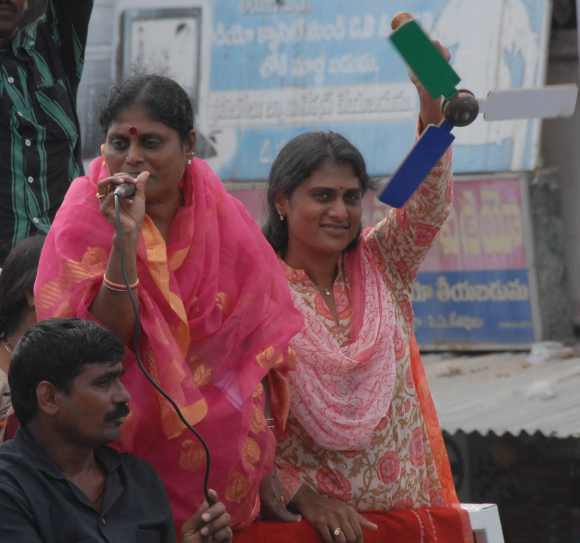 Jagan's sister, Sharmila has been a popular face of the campaign. Is there any chance of she taking over from her mother? Sharmila has always been there to support her brother and mother during the campaign. People have immense respect for her. But she has made it clear that she will only help during the campaign and that no one shall replace her brother in the party. Do the Congress and the Telugu Desam Party continue to work together as alleged by your party? Yes, of course. They are working hand in hand against Jaganmohan Reddy. They will continue to do so as they fear the popularity of our party and our leader. I have always maintained this and would like to add that there is match fixing in Andhra Pradesh against Jagan. There appears to be an issue over Jagan's security, which led him to threaten that he would go on fast. Yes that issue has been resolved. 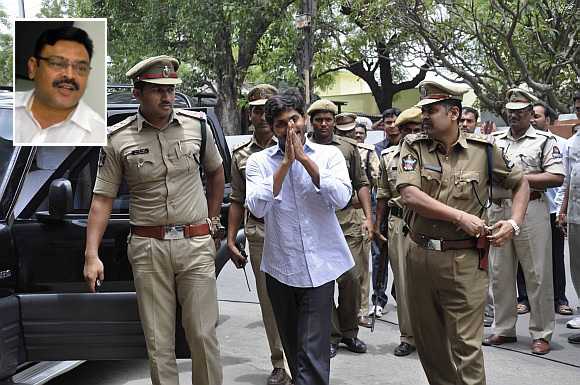 Jagan was produced before court in an ordinary vehicle though he is a member of Parliament. However the court has now ordered that a bullet-proof vehicle be used for his travel. Is there any specific information about a threat to Jagan's life? There is a possibility of a threat and chances cannot be taken. His security is of utmost importance. We do not have any specific information regarding a threat. If the YSR Congress emerges victorious in the by-elections what will be the next course of action? The next course of action will be decided after the elections. The party will continue to work for the people and preparations will begin in full swing for the assembly elections. The battle ahead is hard, but we will continue to work harder. Has Jagan's arrest scared away the possible detractors from the Congress, TDP from coming into your fold? Our party's strength and position has not changed. We do expect more MLAs from both the Congress and the TDP to join our party. However, all that will be only after the by-elections.